Too funny because it's true. 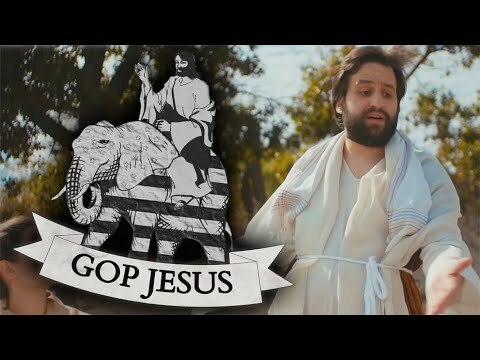 Republican Jeebus has virtually nothing in common with the Christian Jesus. He loves money and guns, and hates poor and sick people. Oh a serious note though... how do the religious right reconcile their political beliefs with a saviour who is middle eastern, dark skinned, unemployed, supports taxation (rend unto Caesar what is Caesar’s), hates business (temple merchants), hates wealth, gives out free food, free healthcare, free alcohol, is a pacifist (he who lives by the sword shall surely die by it), doesn’t care about nationalism or patriotism, lives off the charity of others, and hangs out with the lowest of society. ??? Will the victims of the Sri Lanka church bombings be made into Christian martyrs?